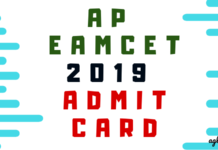 AP PGEC 2019 – Post Graduate Engineering Common Admission (AP PGEC) is a State Level Admissions into Regular PG Courses in Engineering, Technology, and Pharmacy (ME/M.Tech./M.Pharmacy) Courses for the academic year 2019-2020 will be conducted by JNTU Kakinada on behalf of Andhra Pradesh State Council of Higher Education (APSCHE), a statutory body of the Government of Andhra Pradesh State, Hyderabad. Both GATE/GPAT qualified candidates are considered for admission into M.E/M.Tech./M.Pharmacy. The complete detail of AP PGEC 2019 such as application form & fee details, eligibility criteria, selection process etc. are given below. The notification will be released for the GATE/GPAT Qualified candidates for admission into M.E./M.Tech./M.Pharm courses in University and affiliated unaided private Engineering/Pharmacy Colleges of AP State. Expected Schedule for AP PGEC 2019 is given below. The details of the courses offered by the universities along with specified eligibility (GATE paper) for each course is given below. The Candidate should be of Indian Nationality. The Candidate should belong to the states of Andhra Pradesh/ Telangana. 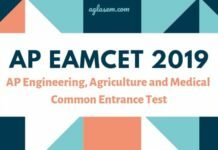 As per the AICTE, the eligibility for admissions into M.E / M.Tech at least 50% marks for OC and BC (45% in case of SC/ ST) in qualify degree examination. As per the Pharmacy Council of India, the eligibility criterion for admission into M. Pharmacy Courses is 55% for OC & BC and 50% for SC & ST. Candidate should qualify either in GATE / GPAT. Note: Preference will be given to GATE / GPAT Candidates in admissions to various PG Professional Programmes, and only after exhausting GATE /GPAT qualified candidates, the remaining vacant seats will be filled with APPGECET-2019 qualified candidates as per the merit order. Eligible candidates who wish to apply for AP PGEC 2019 will be able to submit their applications through online mode only. 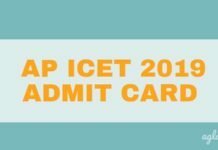 Candidates will be able to fill the application online through the link given below or also they can visit the official website of www.appgecet.org or www.jntuk.edu.in. Insofar, official details of AP PGEC 2019 have not been announced. Information on this page is as per last year brochure and for reference purpose only. As soon as the AP PGEC 2019 details are released, the same will be updated here.